Apple has a reputation for perfectionism, for ensuring every last detail is absolutely right before presenting their latest "magical, wonderful" system, software or service to a waiting world. And that's perfectly true... sometimes. But Apple is made of people, and people screw up - sometimes because they make mistakes, sometimes because there are too few people under too much pressure, and sometimes because the technology isn't quite ready for what Apple's trying to do. Here are some of Apple's most interesting failures. The Newton was the iPad two decades before the iPad: an ultra-portable, incredibly useful new gadget that users absolutely loved. Steve Jobs didn't agree, and canned it in 1997. Apple may have invented the PDA (CEO John Sculley coined the term in 1992), but it hadn't perfected it: the handwriting recognition was the subject of a Simpsons spoof and a Doonesbury strip, and it seemed that people simply didn't get the Newton: where Apple hoped to sell millions of Newtons, reports suggest that it only shifted 50,000 in its first three months. By comparison, in 2012 Apple sold three million iPads in three days. As Harry McCracken wrote in Time magazine, the problem was that Apple was simply ahead of its time: "When Jobs decided to shut down the Newton division, color screens were still unaffordable, touch input was crude and wireless data didn't get much more exciting than two-way paging. When he launched the first iPhone nine years later, technology allowed Apple to build the sort of devices it wanted to create in the 1990s, but couldn't." The service formerly known as iTools, then .Mac, was an online software suite that would seamlessly blend desktop and web-based software and services. It didn't quite work out that way. Its 2008 relaunch was bumpy, with problematic syncing, email problems and other issues, and in 2008 Jobs admitted in an internal email that the launch was rushed and was "not up to Apple's standards". More colourfully, he apparently asked the MobileMe team what the service was supposed to do - and when they replied, he yelled "so why the f--- doesn't it do that?" Apple never planned to manufacture its games console: the Pippin was a scaled-down Mac, a games platform and networked computer, that Apple intended to license for others to make. Bandai was the main licensee, but sales were disappointing: it predicted 300,000 sales in the first year, but only made 100,000 - and of those, it only sold 42,000. That was partly because Apple didn't market it: that was the licensees' job, and they were up against Sony and Sega. The 1983 Apple Lisa was a technological triumph, the first personal computer with a Graphical User Interface and an absolutely terrifying price tag. An unfortunate intervention from Steve Jobs, who had been exiled from the Lisa project, didn't help. As affordable IBM PCs started to dominate business computing, the Lisa cost nearly $10,000 and was immediately depth-charged by Steve Jobs' announcement that a better, incompatible system was imminent. That computer was the Mac, and its 1984 release killed off the Lisa for good. One of Apple's biggest disasters is also its most recent - although the rest of our list should give the lie to the oft-repeated belief that Apple never messed up when Steve Jobs was still around. Last year's iOS Maps debacle got the interface right and the data hopelessly wrong, and it still isn't up to scratch. The New York Times said it "may be the most embarrassing, least usable piece of software Apple has ever unleashed." Steve Jobs famously hated buttons, so what could be better than an iPod with no buttons at all? The answer turned out to be "an iPod with buttons on it". 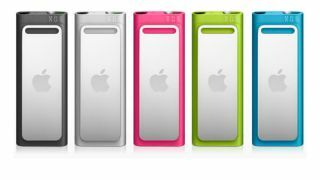 The 2009, third generation iPod Shuffle moved everything to the remote control and encouraged you to use VoiceOver, but it turned out that consumers quite like clicking things and feel stupid shouting at their gadgets. The fourth generation Shuffle got its buttons back. The 2000 G4 Cube is arguably one of the prettiest computers ever made, but it cost a lot ($1,599) and suffered from cracks in its transparent surface. Apple chose form over function, designing a beautiful and near-silent Mac that looked rather underpowered compared to rivals: while typical PC processors were clocking in at 1GHz, the G4 Cube's fastest processor was a 500MHz model. Your RSI-addled, post-hand-surgery correspondent finds all Apple mice horrid, but the hockey puck mouse was particularly unpleasant: the mouse, which shipped with the iMac in 1998, was small, stylish and for many, absolutely useless. It rotated easily and was too small for some. Apple replaced it two years later with the considerably more comfortable Pro Mouse. Like many Apple disasters the Twentieth Anniversary Macintosh wasn't a product failure, but a marketing one: when it launched in 1997 it cost a staggering $7,499 - but the price was cut again and again, dropping to just $1,995 in early 1998. Remember how upset early iPhone purchasers were when the price dropped by $200? Early Twentieth Anniversary Mac purchasers watched their computers lose over five grand. When Steve Jobs showed off the iPod Hi-Fi in early 2006, the world went "meh". It was expensive, of course - more expensive than premium products from the likes of Bose - as well as enormous. It looked odd, didn't support every iPod, and didn't really have a reason to exist. Apple quietly shot it in the head in late 2007, wisely deciding to leave the iPod accessory market to third parties.